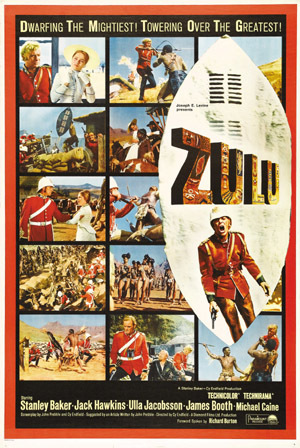 Hello and welcome to this months edition of waffle on in which Meds and Kell char away about the brilliant 60's film Zulu. This was the film that introduced us to the brilliant Michael Caine. As usual tthe lads waffle on in various directions, play the trailer and some classic music from this epic movie. Any comments please send them to waffleonpodcast@gmail.com Join our Facebook group simply by typing in waffle on podcast in the search bar. If you would like to donate to the show we have a paypal button on the podbean site or use our Amazon link below..
that wont cost you a penny but can help us. See you next month for more waffley goodness.